phabyogi awarded T138029: Enable maps on Commons a Love token. phabyogi triaged T142468: Enable ArticlePlaceholder on knwiki as Normal priority. phabyogi created T142468: Enable ArticlePlaceholder on knwiki. phabyogi added a comment to T117745: Convert Special:FileDuplicateSearch to OOUI. Thanks a lot @01tonythomas and @Volker_E, will use the bug number in my commit message next time. phabyogi claimed T117745: Convert Special:FileDuplicateSearch to OOUI. phabyogi added a comment to T123061: Live preview does not display map (from Mapframe template) on English wikivoyage. Thanks @Aklapper and others here! Will discuss this on local wiki and request there to fix the same. @Aklapper, thank you for correcting the title! But any reason to change the task priority to Lowest from Low? Because of the T41272 blocked task? phabyogi created T123061: Live preview does not display map (from Mapframe template) on English wikivoyage. phabyogi added a comment to T113400: Place labels are displayed very conservatively. Zooming in even further, more cities in California are now labeled, as is Las Vegas, but Salt Lake City is still unlabeled despite being quite clearly identifiable. There are also no labels in Nevada (apart from Las Vegas off-screen); I'd expect Reno, Elko and Winnemucca to be labeled. One of the reason for this can be the tags used in OSM for these places. For Salt Lake City there's no place key, but there's place=city tag for Las Vegas which the renderer is using to display the map. phabyogi added a watcher for Maps: phabyogi. 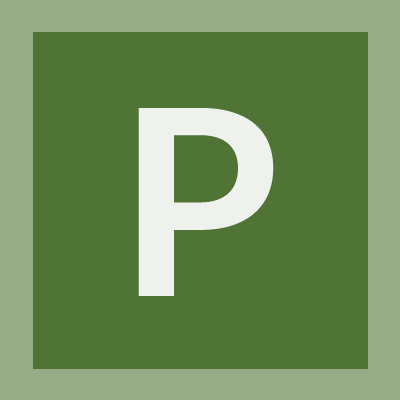 phabyogi added a member for Maps: phabyogi. phabyogi added a comment to T104260: Change Kannada Wikiquote logo and project title. Can we go ahead now? Its been quite some time. phabyogi added a comment to T103659: Enable Guided Tour on Kannada wiki(kn.wikipedia.org). Restricted Application updated subscribers of T21412: #time parser function can't read local language month names. The changes from English to Kannada have been discussed. In the discussion, it has been explained that current English logo and namespace have to be replaced with Kannada. You can see ವಿಕಿಕೋಟ್ text in the discussion. Can we go ahead with 2 votes? Or should we wait for more. Have put forth the discussion on WP:VP here. We can wait 2 or 3 days for the community to respond. Hi @Aklapper, Thanks for the reply and sorry for the late response. Here's the WP:VP discussion on enabling this extension. Along with kn wiki community members, I'm working on translating the extension in translatewiki. phabyogi changed the status of T103659: Enable Guided Tour on Kannada wiki(kn.wikipedia.org) from Stalled to Open. phabyogi created T104260: Change Kannada Wikiquote logo and project title. phabyogi added a comment to T103664: Wrong Kannada text in editor (Wikipedia, Wikisource, etc). I've corrected the text of this extension in its Translatewiki page. Possibly would be corrected after the next update from Translatewiki. phabyogi created T103659: Enable Guided Tour on Kannada wiki(kn.wikipedia.org).